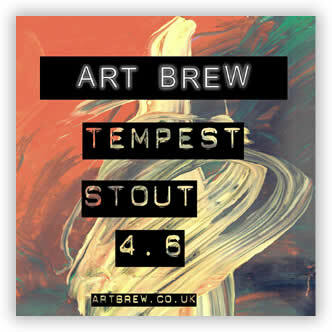 Art Brew’s Tempest Stout | DorsetBreweries.com - A Guide to Dorset Breweries and Dorset Beers! Dark ale which takes the classic chocolate, roasted malt flavours and tart hop notes associated with stout and blends them with the rich maltiness from the Art Brew copper. The end result; a hearty well rounded brew.